We’ve had a few financial bubbles burst over the years and the most recent was in the housing market. Cheap and easy money from the banks fueled a building boom which drove home prices out the roof. People started buying ever larger homes for all the wrong reasons. Most notable reason was that it was an investment. The consumer thought that they could afford and enjoy a large home because when the time came to move on, there was someone willing to purchase it at a higher price than they bought it for, in some of those cases, thousands over the original price. The only problem with this plan is that it was predicated on the banks continuing to fuel the market and when that stopped, the house of cards fell. In addition, most new home construction stopped and people started seeing the unemployment rate go up. Some of those construction related jobs where held by the very same consumer who purchased a home on the high side. As a result, they could no longer afford the home and walked away from it. This drove the housing prices down and inventory up making matters worse. In some areas of the US, prices didn’t just adjust a bit, they dropped off the cliff. During the housing boom I can’t tell you how many times I walked into a young couples home that they had just purchased and it had no furniture in it. They bought the largest home they could afford and usually with an ARM mortgage (Adjustable Rate Mortgage) only to find out at the end of the day, they couldn’t afford to furnish it. They got caught up in the frenzy and in most cases, lost the home in the end. Now, what is the lesson that we’ve learned from all this? Number one, a house is only an investment in the long term and also, it’s merely a utility, a place to hang your hat and keep you out of the elements. The fastest way to sustainable living and financial freedom is having your home paid for or at the very least, costing you a small percentage of your take home pay. If you’re buying your primary home as a short term investment or to impress your friends and family, you need to rethink your game plan. I would only purchase a non-primary home as an investment in order to resell it. Even at that, it would have to be a great buy and I’m still taking a gamble. The next question is how do we get to a sustainable point? Most of us aren’t walking around with a couple hundred thousand in our pockets to buy a home in the traditional housing market. In addition, there are a lot of people who took a credit rating hit during the last housing bust and couldn’t qualify to get into a home loan. So what do we do? We think outside the box or should I say a smaller box. I have seen and built small structures, smaller than 1000 square feet, which are both efficient in the use of available space and economical to build and maintain. Have I got your attention? Now let’s take it a step farther. Let’s take our thinking to an area that may at first sound a bit crazy. Let’s take it to that smaller box idea. At current count, there are about 17 million land / sea shipping containers in the world. That’s enough containers to circle the globe almost four times! Many are sitting in storage lots and haven’t been used in years. In addition, because the U.S. imports more than it exports, we have a lot here. In short, they’re abundant and cheap. 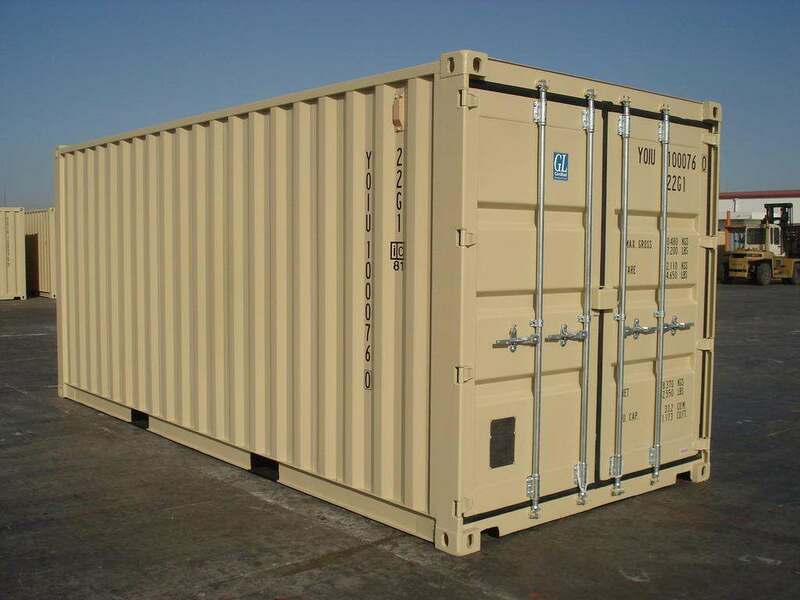 Containers come in sizes of 8 feet x 8 feet and in lengths of 20, 40 and 53 feet. The most common and the one we plan to use in our project is the 40 foot version. Before we go any further, you’re probably asking why anyone would wish to use a steel box as a home. The number one reason is the price. Usually you can purchase one of these for around $3500.00 and can have it delivered for around 100 bucks. 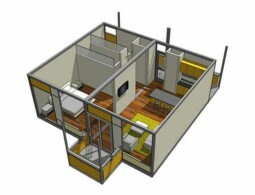 If you had to build a conventional building with the same square footage (320) you’d spend between $9,000 and $10,000. This includes foundation, siding, trusses, roof decking and shingles. The other reason is its weight. An empty container weighs in at 8300 pounds. That’s over 4 tons of steel and that means, once in place, it’s not going anywhere. The third reason is that you’re trying to build the most economical place to hang your hat and this is a good start. Shipping containers are very versatile and can be configured in a variety of ways. Because the containers’ loads are carried on the four corners and the two bottom I-beams, you can cut as much of the side walls out and add on without affecting the integrity of the structure. The photo below shows two 40 foot units in which the left and right sides have been cut out and placed together which, created a sixteen foot wide room. 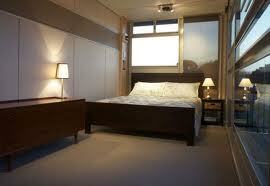 Because the container is built to exact tolerances, the rooms, once dry walled, have very smooth and straight lines. You can even stack the units to create a two story home. The next question you’re asking about right now is the cost. Well, let’s do the math on a single 40 foot unit with the primary container cost of $3,500.00, foundation prep of around $1,500.00 and the total delivery and crane cost of about $500.00 to $800.00. You’re looking at an initial cost of around $5,600.00. 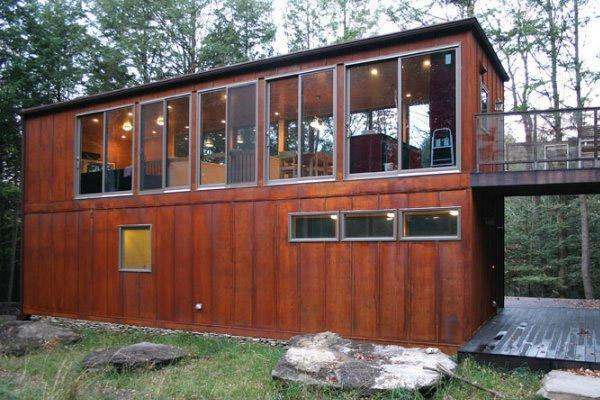 Well below the cost of a traditional construction building. 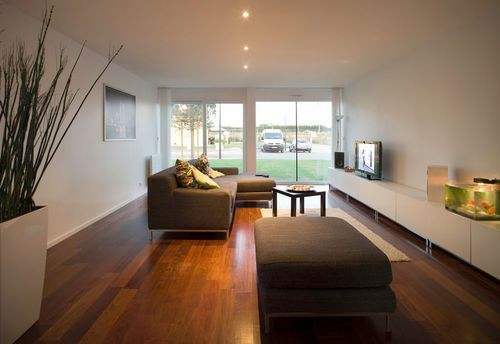 The next item on your list of things to do to complete your small home is to determine the location of windows and doors and of course this is determined on the interior layout of the structure. The good news is that you don’t have to worry about any load bearing walls. 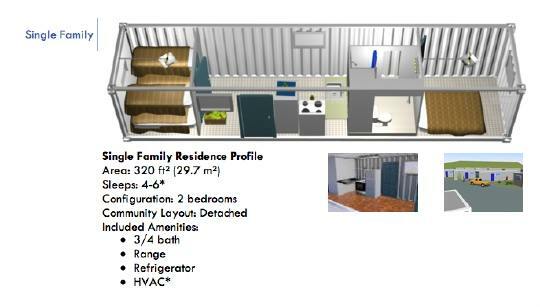 The final cost of a completed container home all depends on how much you spend on the interior. If you do a basic design, you’re looking at a total estimated cost of around $15,000.00 not including land. 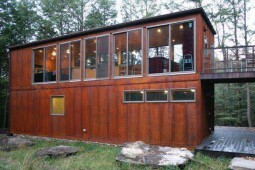 That’s a square foot price of $46.00 a foot as opposed to around $95.00 for site built home. 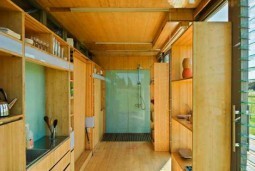 Now that’s sustainable living! Single forty foot with a glass enclosed shower at one end. A forty-foot two bedroom design. An 8 foot wide unit built out as a bedroom with large windows on one side.